Is your school planning a trip for the students? 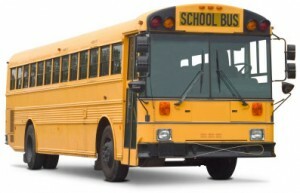 Rather than leaving transportation arrangements to them, it would make more sense to arrange for a school bus charter from a reputed school bus rental company. 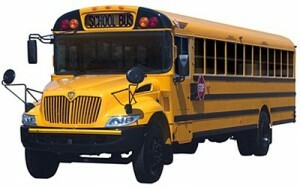 Why Engage a School Bus Rental Company? Even though the students are on their best behavior in schools, when they know they are going on a school trip, especially a recreational one, it may be difficult for them to contain their excitement. In such a situation, having them travel together in one place may be an easier way to keep an eye on them and keep them out of trouble. Making everyone travel on a school bus that you charter is the best way of ensuring that all students arrive at the destination together, on time and also leave together at the scheduled time for departure. Good school bus rental companies have a fleet of vehicles which is fully maintained and regularly serviced. Therefore, you can trust these vehicles to provide safe and comfortable traveling experience, which is a must, especially when kids are involved. The drivers are trained to handle exceptional situations such as traffic jams, accidents or any other unforeseen events. When you are traveling with school kids, it is often comforting to know that someone who is a trained expert is traveling with you, in case of an emergency. Top quality rental companies provide exceptional standards of services, just what you may need while traveling with students on a long trip. This can help your school send a positive message about your insistence on quality as well as about your concern for students’ traveling arrangements. Good rental companies have a wide range of school bus sizes available as per your need. So you don’t need to waste money by hiring too big a bus for a small group or feel the need to leave some students behind because of non-availability of a big bus. Now you can get a bus which is just the right size for you. If you are traveling with one class only, you can get a mini bus but if you are traveling with a couple of classes, you can hire a deluxe bus or a coach. At the end of the day, it is a hassle free solution. With all the planning and coordination you would need to take care of, in order to ensure that the school trip gets executed smoothly, you can at-least leave the transportation arrangements to the experts.The booking can be done through an easy process and you can let the experts at the school bus rental company take care of the scheduling, fueling and planning the routes, as you sit back and enjoy with the students. Reputed rental companies such as DC Charter Bus are willing to entertain special requests and customized requirements, in order to make your traveling experience more pleasurable and enjoyable. So make sure that your school trip travels in comfort, style and safety, by arranging a school bus on charter.